Here is where wolves are first trained, either by Divines, Clan Leaders, Scholars, and Elders. All wolves start off in their pup form, until they are moved to the apprentice rank by a Divine. This is unless your wolf is an Elder or a Scholar. If they are the latter two, they go through a different test, and then are put through to their clan. These are training grounds, harsh as it may seem on mere pups, this is to test their abilities and draw out their mutations, so they can start their proper training in their clan. The young pup bounded gleefully through the meadows and tall grass, her fur bouncing wildly with each leaping stride. Endurance like no other, she had literally been running for minutes without a problem. "Momma! Where is this-" She turned, but her mother was not there. Confused, the small pup began to attempt to run in the direction she had come, but she ran the wrong way, only further worsening her predicament. She flitted in this direction for some time, hoping in vain that her parent would come into sight. It never happened. Soon, she found herself stopping, her eyes empty with confusion. "Momma!!!!" She squealed fearfully. Where had she gone? Had she left? Where was she anyway? A huge meadow? Why? So many questions, all started by confusion, began to bloom like flowers in the spring. She was abandoned, to say the least, abandoned to this place, for her mother could not take care of her. Her breath was harsh and quick, still frightful, as the true weight of the situation dawned upon her. Almost in mourning, as if her mother had died, the once blissful pup let loose a high pitched, 'Aroooo' of a howl, her muzzle aimed at the sky. She slowly reared to her hind legs. Maybe if her voice would be carried by the wind, she could be found by her mother. But it would not happen. Red eyes rolling skyward, the fire-like female looked out at the meadow. It seemed that there was a little pup - GREAT - that had become lost and had stumbled upon the territory. What the little rascal did not seem to know, though, was that there was no leaving now that she had arrived here. The little thing howled, and with much regret, she stood and walked over to the thing. With her time as the only of the Incendo Clan, the fiery female had come to learn many things. She had also come to ignore much of what happened. As she stepped, the grass where her paws were placed burned and withered. As she neared the small white female, she frowned. The flames that crackled from above her ears and around her ankles were vibrant as ever as she spoke. "What do you think you're doing here, little girl?" she demanded. As much as she tried to be nicer, the fear that she was met with and her own hatred of pups caused the nasty attitude of hers to burn like the flames that were so symbolic. "What do you think you're doing here, little girl?" Aeria yelped loudly, whipping around to face the literally fiery female before her. Her eyes widened as she saw the flames crackling above her head. Her mouth remained open from her howl as she stared, dumb founded, at the wolf of fire that stood before her. Her white coat was tousled lightly as she stared, the wind moving it just the tiniest bit. Confused, she wondered why the wolf seemed so mean. She seemed to hate her already. Confused, her mind began to reel, before she formed a lame but viable reply. "Momma is gone." She said sadly, her eyes looking downward. And now, her only companion was this spiteful wolf. Intent on not bothering her, since she seemed so unhappy by her appearance, she turned away with a quiet sniffle. "But you seem mad at me, I'm sorry. So I'll leave." She then said. She may be a pup, but she was smart and hoped her backing off would somehow get the female to calm down. Her eyes scanned the meadow, but the forest she had exited was gone. Gone! How could a forest disappear? Her eyes opened in horror. Momma was not only gone, she had disappeared along with the forest! She turned to give the fire-wolf a look of terror. Then, her ears whipped from forward to folded, and she backed away. This female still didn't like her. Her eyes still averted, almost submissively. Aquillo had been flying around looking for something that was a possible snack for him to waste a little time on. His large wings allowed him to glide gracefully through the air. He was happy today, so the weather remained that way. His ears remained pinned against his neck to stop the air flying into them. He looked downwards, spotting the Incendo Clan Whitelighter, burning the lush ground at her paws. It would be easy to track a Ignis out here, not so much in their desert. Hovering overhead, Aquillo spotted a small pup that was near the Incendo wolf. 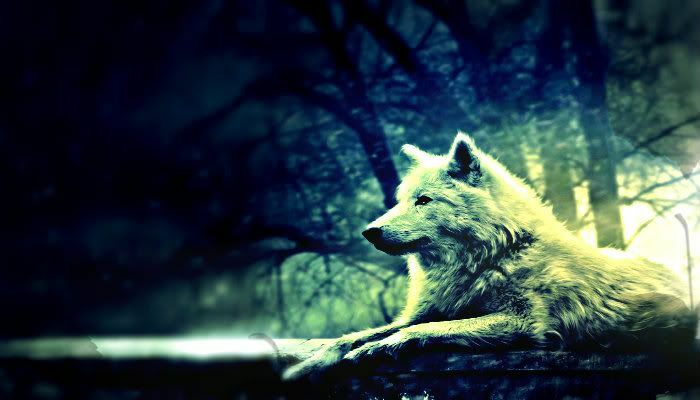 He gave a huff, seeing no one else around but the wolf that tormented the youngling. Giving his large wings a flap, The Storm made his descent towards the ground in a large circle he neared closer and closer to it. Hovering now a metre or two above the ground, he landed flattly on all four of his paws, which extended to allow him to land. His purple gaze swept to the flamy one before it moved to the young pup.
" Blaze, Blaze, Blaze... Have you no compassion? " he tutted at the female, as his wings folded neatly against his body, walking along to the pup. " Young Lady, " he addressed the pup, " What is your name? ". He sat and leaned curled his head around to clean his left wing, as he awaited an answer from the pup. 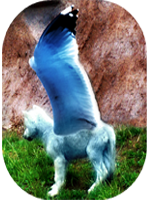 Aeria jumped backwards, terror flashing brightly in her eyes as an elk-bird-wolf landed in front of her. Her eyes slowly widened as time passed and as the traumatized puppy became more and more scared of these strange wolves. Who where they? What were they? She had absolutely no clue, all she knew was that they were scary. Her bright blue eyes were still fearful, even as he approached, and she backed away the same distance that he came closer. Her head whipped to and fro, as if seeking escape, but he had wings! How could she escape from wings? It seemed hopeless beyond belief. His words to the other female fell upon dead ears, as she only heard those directed to her. And, after he adressed the flamed wolf, his gaze directed to her once more, and she flinched.
" Young Lady, what is your name? " "Uhm, my name is... Aeria." She mumbled in a dull whisper. He may not even be able to hear her at this point, it was like the quiet speakings of the wind. Her eyes were still watching him, and her head was at an angle to the ground. She took another step back. So far, all she could feel around these wolves was fear. "Blaze, Blaze, Blaze... Have you no compassion?" Indignantly, the fiery wolf scoffed and looked away, "Why, Aquillo, I have plenty of passion, have no fear." As innocently as she could muster, she batted her eyes and shrugged with acute little smile, but the male's attention had been on the smaller female wolf. With a frown and a notable increase in the intensity and size of the flames, Blaze watched the interaction. Her name was Aeria? Well, it seems as though she would be the flighty type. Definitely not strong enough or brave enough to be one of the Incendu. She felt out of place here. The grass was not sand, nor was it warm to the touch. No. It lived. It died under the weight of her paws. It was cool and crisp. I hate this she thought ferociously. Stupid Quill and his fancy wings and his stupid niceness... all the while, as she became more and more angry, and the flames grew higher and higher without restraint. Audric looked scornfully down on the two wolves, correction, one wolf, one pup. He thought the word scornfully. he was not big on pups, he knew the were supposed to be the future of the world and blah blah blah. But he just didn't know why anyone would bother to have them. they were nothing but pain. He shook his head and stepped forth, though he was normally a lot smaller than other wolves, he seemed almost to tower over these ones. That made his small smile genuine, which made it easier to sit and address these wolves. "Well hello" he would hold off his need to dominate for now, just long enough to get a feel of these wolves. "Why, Aquillo, I have plenty of passion, have no fear." Aquillo looked back at the Ignis, and gave a loud snort her way. His ears perked and he gave a small grin. " Compassion, not passion. Fear? There is nothing for me to fear. What you need is patience and something to control that firey temper of yours. I know its in your blood and yadda yadda yadda. It has been a while since once has come to us. We should show her a home" he spoke sternly to the whitelighter. Looking back to the pup he cast a soft smile over her as she spoke. "Uhm, my name is... Aeria." It was only a small whisper, but Quill could pick it up. Aeria. This one would certainly not mature to a Ingis. She was quiet, and they were loud and dangerous. He moved closer to the pup, keeping up the gentle smile. " Do not be afraid Aeria. I will not allow the others to harm you. You have entered the Lands belonging to The Order of Hope. You will become like us one day, as you mature. You will join a clan, Blaze there is Incendo, or fire clan. There are three others, Terram, or earth, Fluidus or water, and Aure, or Air. Each has their own species. We will teach you more as your mutations grow." he said softly. He hoped not to scare the little one for now. But his sensitive ears flicked to another approaching, one of great size. A Terran. Turning around, The storm looked to see the Whitelighter of the Terram Clan. He looked to the great brute, much taller than himself, but not oversized for a Terra. " Audric " he greeted with a mischevious grin. Storm flicked his tail and looked back to the pup. He looked around for his siblings, Kamea and Misae, wondering where they had gotten to. "Compassion, not passion. Fear? There is nothing for me to fear. What you need is patience and something to control that firey temper of yours. I know its in your blood and yadda yadda yadda. It has been a while since once has come to us. We should show her a home." "Great," grunted the fiery female sarcastically. "This temper isn't tamed. You know that, Quilly." Her shoulders were rigid as the winged male looked upon the little pup to explain to four clans. Then, Audric showed up with his big earthy self. In a natural reaction, Blaze sneered. Aquillo, of course, greeted the male jovially. Red eyes narrowing as she watched the encounter, Blaze began to pace. Her muscles screamed for the release of all the hot energy that was built up within, but she could not risk it. Not with so many others there. "Listen. I did not ask for this fiery temper or anything, your majesty. If you want, you can take the little pup under your wing and raise her, but she is not fit for the life of us desert dwellers." The sting in her gut was hard to ignore, but she was shoving it back. It was hard for the male to sneak up on any wolf, unless they were from his pack, then it was easy. He dipped his head...barely, to Aquillo , before letting his green eyes shift to the fiery female beside the other male just as she sneered at him. You would think the female would be more grateful to him. After all Earth was sustenance to Fire, we provided food to them, and they helped the Earth, it was a partnership that would never end. He lifted his lip at her to show teeth, that was a fire wolf for you, always thinking they were best. He shifted his attention to the pup "She is too small for the life of a forest nymph, keep her away from there, she will simply be stepped on." and with that his attention was caught by a small vibration in the earth, and thus ignored the others near him. "Perhaps for us air-dwellers, then, Blaze?" A voice came from the ground as a black and white wolf padded towards the wolves in front of him. His white-tipped, black wings were folded to his body, and why he was walking was due to the change in atmosphere, as he often liked. He nodded his head in greetings to the other Whitelighter and bowed in loyal respect to the divine. "Who is this little one?" he asked as a light breeze picked up just for a moment - enough to flick at Blaze's flames. He didn't seem to notice the tension, or if he did he was trying to loosen it. He glanced at the young pup and smiled, giving her a welcoming look. He tried not to pose as a panda-threat. "Great, .... This temper isn't tamed. You know that, Quilly." "Listen. I did not ask for this fiery temper or anything, your majesty. If you want, you can take the little pup under your wing and raise her, but she is not fit for the life of us desert dwellers." Aquillo looked back at the female. His purple eyes narrowed. His calm had gone to temper, the sea to storm. " Calm it Ignis. You know I am not to blame, for that temper ". The clouds above started to turn dark and twist and twirl. Grumbles of thunder above. "She is too small for the life of a forest nymph, keep her away from there, she will simply be stepped on." Aquillo looked back to the Terra. The sky starting to clear a little as he calmed himself down, with a ruffle of his wings. " I know Audric. This young lass will be of Aure or Fluidus. Though I doubt the latter ". Feeling the presence of another, Quill saw the Ales approach. He gave a nod to the male as he bowed, and a second nod for the words that followed the male. Giving a huff he spoke once more. " Karatavuk, you handle this one, I think she belongs to your kind " he said dully. Releasing the rings from his side, he stretched them and gave a big flap, and he was set off into the sky. He made his way up into the clouds and hovered above, hidden with in them, a loud clap of thunder followed a lightening strike. Aquillo was going to return to The Throat of the World.
" Do not be afraid Aeria. I will not allow the others to harm you. You have entered the Lands belonging to The Order of Hope. You will become like us one day, as you mature. You will join a clan, Blaze there is Incendo, or fire clan. There are three others, Terram, or earth, Fluidus or water, and Aure, or Air. Each has their own species. We will teach you more as your mutations grow. " So, the fiery one is not a Demon? The shy thing wondered now, but she still backed appropriately as he attempted to approach, like a cautious bird. As well, what if they could read minds? Her thoughts reeled to complete the thought. -I mean, not a scary or mean demon. She seriously feared for her life for a moment, what if this Blaze took her thoughts as an insult? Her eyes grew even more fearful, and she began to move away, her light blue eyes still very attentive and intelligent. your wing and raise her, but she is not fit for the life of us desert dwellers." ""Perhaps for us air-dwellers, then, Blaze? Who is this little one?"" " Karatavuk, you handle this one, I think she belongs to your kind "
She pinned her ears as the other wolf flew away, but she could definitely feel far more comfortable around the other winged wolf. He was kind in his words, and she could feel the wind shift as he approached-it felt good. "I am Aeria." She replied simply to his question of who she was. She didn't move back this time, she sat down, and watched the other earth and fire wolves, who seemed ready to explode as well as bored. "I'm not wanted here." She thought aloud, her ears flicking back and forth and shrinking backwards slightly. As Karatavuk arrived, Blaze's anger reached new peaks. She glowered at the male. What was with wind wolves and kindness? Actually, she could do with a lesson or two from them. Yeah. Like they would take the time for a terror like me she thought bitterly. Pain seeped into her heart as she turned away. The longer that she was there, interacting with others, the more obvious it became that she did not belong with them. The Incendo Clan wolves were met with hostility and care. No one wanted on their bad side. With a long sigh that made dark smoke billow from her flames, she sauntered off. 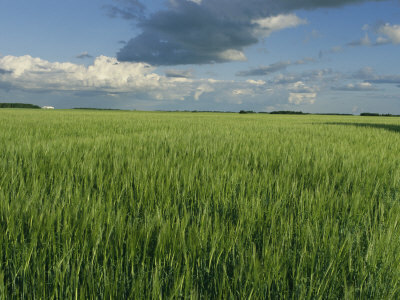 The grass would give way to a desert, a land in a forever drought thanks to its inhabitants. Well, inhabitant. There had yet to be an Ignisi wolf to come her way in years, and frankly, it was frustrating. No one wanted to be feared. They wanted to be respected. Fear was something for the bad. Which, apparently, was her. "Too bad that they don't know," she thought as she walked away from them. 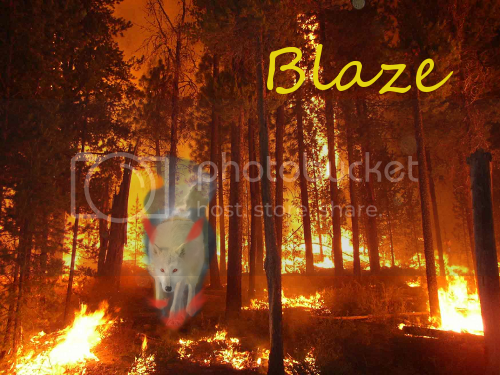 The young pup had been a marvelous display of why it was that Blaze rarely left her home lands. Even the proud Terram leader had met her with anger. They thought that she thought herself better than them. No, she thought herself as a low life that deserved nothing more than oblivion. And that oblivion was her desert. Scarce for food and water, and hot. Unbearable for the rest, but perfect for her. Smoldering patches of grass stood where she had walked, leading any followers on her trail to the Desert. "How come you all are so mad at the fiery wolf?" The young wolf questioned as Blaze stalked off, her eyes gaining a sad look to them. She felt bad. Perhaps, she was the one who felt unwanted in this place, not the pup. Her question was mainly directed at the huge wolf that reminded her of a tree. She frowned, deciding at that moment that eventually she wanted to be friends with the fire-wolf. The shy female then began to come out of her shell. "She seems sad." The female commented. 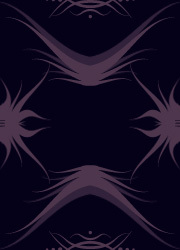 She was good at reading emotions, even as a pup, and the demeanor of the fire wolf only told her that she was troubled. If she was full of herself, or thinking she was better than everyone, it wouldn't be like this. Her eyes then moved to the air-wolf, and she watched him curiously. Was there something he had to do to "handle her"? She also eyed his wings. That was when she decided that she herself wished for wings, so she could fly. Her head swung to the side to look at her withers, only to see the normal flat back of a puppy. When would these said mutations occur? Karatavuk had an innocent, yet confused, look as Blaze walked away. He sighed and caught movement from the pup as she looked at him - no, his back - and then to her own. "Looking for wings?" He asked with an amused grin. He padded to the pup and grabbed her scruff. Strengthening the current in the wind, Karatavuk spread his blackened wings. His white-tipped feathers danced in the breeze as he thrusted them downward. He lifted into the sky with a few beats of his duel-paired wings, and when he was to a good height he glided over the meadow. He didn't leave it, however - he turned, twisted, and glided over the grasses, laughter and delight sparking in his golden gaze. Aeria backed away quickly as he approached, and almost screamed with terror when she was lifted from the ground. Her legs and tail, by instinct, curled to her stomach and she refused to struggle to avoid harming her delicate neck. After all, the scruff was a sort of pressure point in many young animals, it caused them to curl up as to avoid being dragged. Fear ran rampant in her gaze. Why was he carrying her? Of course, she would like wings. But would grabbing her scruff cause them to suddenly appear? Soon, as he began to fly, her fear and anxiety descended into complete awe. This was irrevocably incredible. Her blue eyes were filled with wonder as they soared above the green, wafting grasses, her legs slowly relaxing, as holding herself up became strenuous. Her muzzle opened. Her words were lost in the wind on her first attempt at speech. She was forced to raise her voice. Grimacing, her high pitched puppy voice was given louder, easier to discern among the wind this time. "If I'm a wolf of air, like they think, will I have wings?" She asked the male curiously. Flying was incredible. It was when, at the moment she was given her first few minutes of freedom in the air, that she decided this wolf was her new best friend. And, if she had wings, she could maybe go after Blaze! Then she'd try and make another friend! It seemed a wondrous experience, and the possibilities of having extra limbs was amazing. Her eyes gleamed in excitement as she awaited a reply. Soft grass brushed gently against the pup's small black paws, the sun bright against his silver pelt, he had no idea who's land he'd wondered onto and didn't know if he'd care. His pack treated him like dirt anyways, there was no opionion to turn back, they place was no home to begin with. Pressing his paws onto a rock, he made his way onto a small rock, taking in the beautiful scenrey he could for miles in the grass. "This is it.." A grin slithered between his jaws, once he flew he could finally rub, it into the other pups faces that picked on him because, he was 'weird'. Shaking his head he dismissed those echoing thoughts, running forwards with much speed as he could before the bare rock ran out, he only was only in the air for a second our to before falling back onto the grass the hare he had spotted was not between his paws. "Ow.." The small pup mumbled, as he pulled out of the ground, pelt a mess of dirt, shaking himself he sat with a small sigh. He'd try later after his head-ache would decrease a considerable amount. Karatavuk smiled while his eyes closed in mid-flight, only to open again at the pup's question. He looked down at her and had an idea. He couldn't very well answer her with his mouth full of scruff. So he dropped her. Air compressed around her just as his jaws opened, which slowed her decent. It couldn't hold her up. but it could slow her down enough. He flew ahead a few meters before backflipping and rolling himself to fly straight again - toward Aeria. When his back was under her and she landed softly, the compression of the air vanished. Balancing the pup, Karatavuk finally answered back to her, "If you grow gills, you're not an Ales. But -" A thin whisp of air parted her soft fur gently at her shoulder, where it carried away a small, soft white down feather. "- I'm pretty sure your wings will come." He looked back reassuringly, and grinned. It was good to see that another Ales would be joining him at the canyon. Just then he looked down and noticed a small figure. Another pup? He watched, cirlcing in the air far above. He casted a glance to Aeria, a silent warning, before he flicked his back and once again she was knocked into the compressed air. He grabbed her scruff as he glided to land in front of the young male. His legs lowered to catch him, and he took a few steps forward to get his legs used to the land once again. He folded his duel-paired wings and looked at the male with a welcoming look. "Hello." Audric shook his head and rolled his eyes up, as Blaze stalked out, typical of her to think the world had it out for her. If she would stop her pacing and angry looks perhaps he would try to start up a conversation. After all, they were born to help each other, fire and earth, and truly deep down he did not hate her, just her attitude on life and others. He stood and stretch his large body before noticing the Arua wolf had found yet another pup. Typical that the pups body structure was off if he ever wanted to be a Terra wolf. Shrugging the male decided it was time to head home, the feeling of not having his trees around to protect him was making him antsy. As he moved towards his forests it was as if the very plants themselves stretched up to meet him. What did he need other wolves for when he had creatures such as theses to keep him company, to keep him grounded and calm. He loved the Earth more than life itself, and was content in that knowledge as his pelt changed to let him become one with eh trees around him. Aeria squealed with delight when she was dropped, the air moved her so she fell far less quickly when she would have normally moved. Her blue eyes watered as the wind stung her eyes. She felt no fear now, and already she could almost feel the connection that was growing with the wind and air. Atmosphere. She felt close, even safe, when falling through the sky. And then, she landed on his back with a soft thud, giggling lightly at the feeling. She knew she was an Ales now. Her attention was immediately on the air wolf as soon as she heard his breath to speak. "If you grow gills, you're not an Ales. But- I'm pretty sure your wings will come." When she saw the feather that came from her own fur, though it was only soft down, an expression of pure joy spread across her young face. Then, he went down to land, and she got a sad look. Then the youngster saw the other pup wandering about and she smiled at him from atop the male's back. And then a new question arose, which she asked in a high and excited tone. "How long does it take? The wings?" Her tail began to wag, tapping Karatavuk's back every now and then as she waited patiently, almost, for a reply. Karatavuk sat down, making the little Ales pup slide from his back and onto the ground. "I don't know. Took mine about a week for them to grow. More than that for them to be able to actually lift me up..but that's just me. It's different with every Ales." He glanced at the young male and threw him the hare he had been trying to grab. Without much of showing it, Karatavuk had killed it when he landed. Sharp puntures from his long, talon-like claws showed in the hare's neck. "I believe this is what you were looking for." "I don't know. Took mine about a week for them to grow. More than that for them to be able to actually lift me up..but that's just me. It's different with every Ales." "Oof" Aeria said as she collided to the ground suddenly, sliding on her belly. Her turquoise eyes were bright and content. Then, a slight change in her fur's color caused her to look down, seeing her normally off white, creamy coat was now almost.. Blue. Very light, not quite, but it was definitely not a creamy color anymore. An exuberant smile spread across her face, and she turned to look at her back once more, and now she could see the slowly sprouting feathers. Her tail began to wave back and forth, and she rested on the ground, her eyes watching this new puppy with her tail still waving around in a circular motion. "Hi." She said simply, her eyes on him, a happy smile on her face. Maybe he was an Ales too? Then she'd have another friend to fly with when she had wings! It would be so much fun! Her smile continued. "I wonder what other mutations I'll get. She thought aloud, her voice just barely over a whisper.